CCGB member Fran Orford’s has a new book out. 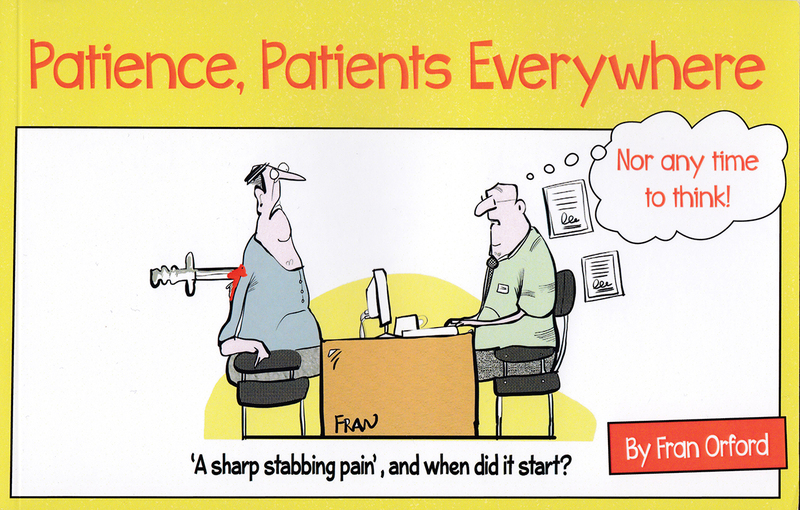 Fran’s got a nose for a good healthcare-related gag, regularly supplying GP Magazine and Private Eye with his work. 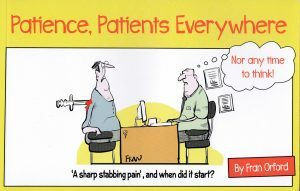 This particular collection focuses on the General Practice and all that entails, from demanding patients to the fun and games of the bureaucratic NHS. It’s exactly the sort of thing you’ll need after spending twenty minutes trying to get through to your surgery, sharing a waiting room with more viruses than a Windows laptop, or, if you’re a GP, to relieve the tension after several hours filling forms. There’s gags galore in here, and so many are utterly relatable to personal experience to further enrich the humour. Indeed, laughter is the best medicine, so get your copy (not available on prescription). And if you liked that: Lots of members have cartoon books available – check out elsewhere on this website for some examples.